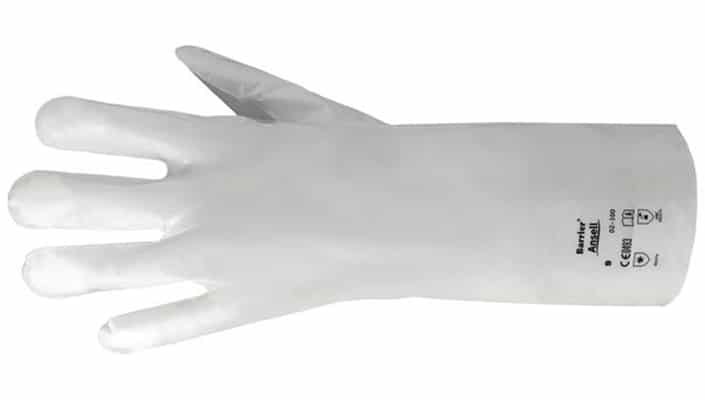 In order to source the suitable protective glove to match risks associated with chemical exposure at your workplace, there are a number of factors that need to be taken into consideration. And in New Zealand in 2016, 77% (80 notifications) of hazardous substances notifications were from unintentional exposures with the most common substance category reported as industrial chemical (46 notifications) and 30% (31 notifications) occurring at workplaces. Workers’ hands are their most valuable tools for carrying out work and are usually the first part of their body to come into contact with the hazards they encounter while working. This makes the right choice of protective glove a vital part of their protective armour against injury. That workers can be exposed to multiple substances or combinations of chemicals within one environment. Some glove materials prevent exposure to targeted chemical groups but fail against other groups or chemical mixes. Conditions: Wearability and functionality are important considerations. Needs such as comfort (choose the size and lining type appropriate to the wearer), grip, tactility and protection against heat, abrasion, tearing, static electricity, etc., should be considered when choosing gloves. Know what you’re handling: New Zealand workplaces must have an inventory of all substances used, stored, handled, manufactured or produced as waste. Each of those materials will have a safety data sheet providing information on the hazards it poses. Use expert assistance: The Government offers a hazardous substances calculator to help businesses and individuals work out key requirements for handling and storing hazardous chemicals. Alternatively, glove manufacturer Ansell uses an interactive Ansell Chemical Guardian assessment tool to match their products to applications. The team at Dalton are happy to work alongside you to match any of our products (from disposable latex to high performance nitrile polymer) to your business needs. Understand limitations and testing: Products can be compared against each other using ratings such as “permeation breakthrough time” and international standards. Practical tests in the workplace will help finalise the product choice. 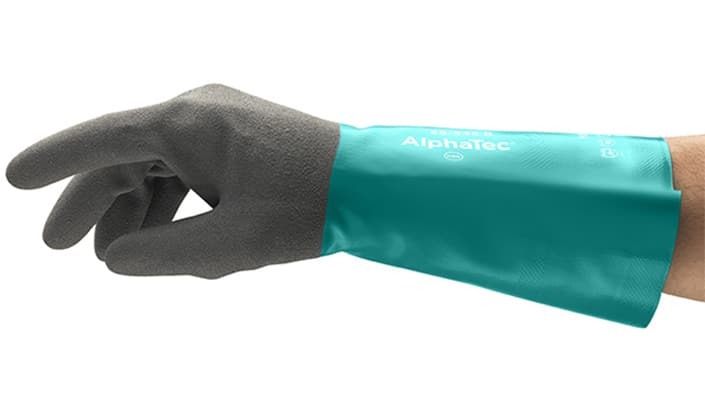 Ansell AlphaTec Glove has the combination of liquid-proof chemical resistance and grip, together with flexibility and dexterity. 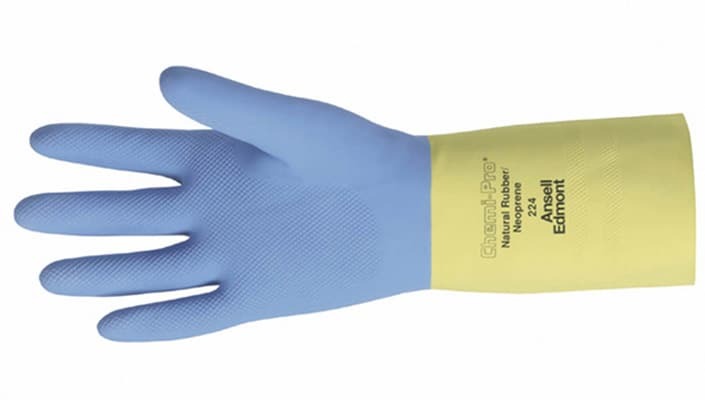 Ansell Barrier Glove is a 5-layer flat film glove, offering the broadest range of chemical protection within the Ansell chemical resistant glove range. Ansell Chemi-Pro Glove is made of a double layer of neoprene and natural rubber latex. 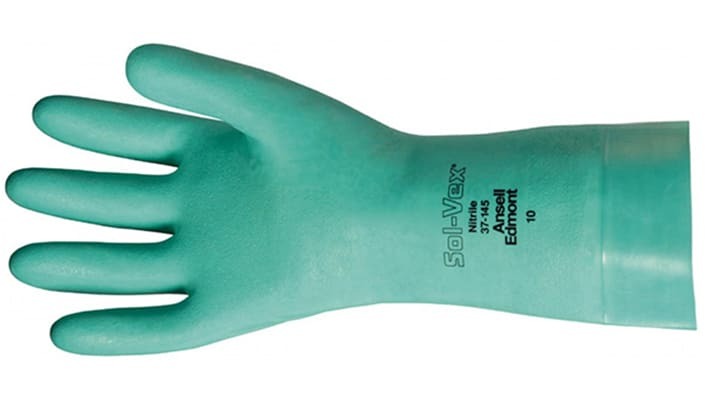 Ansell SolVex Chemical Resistant Glove is manufactured from a high-performance nitrile polymer. Because gloves are just part of an overall PPE package (coveralls, boots and potentially respiratory masks), it’s important to create a comprehensive barrier at the point where the gloves meet a protective suit. An innovative design – including a ribbed cone and collar for secure attachment – uses the latest polymer technology. It creates a liquid-tight seal between glove and cuff. Its intuitive, quick and easy fit improves productivity and makes it easy to use. For more information on choosing the right gloves for your applications contact Dalton International on 0800 323 223, enquiries@dilnz.co.nz or via the website.